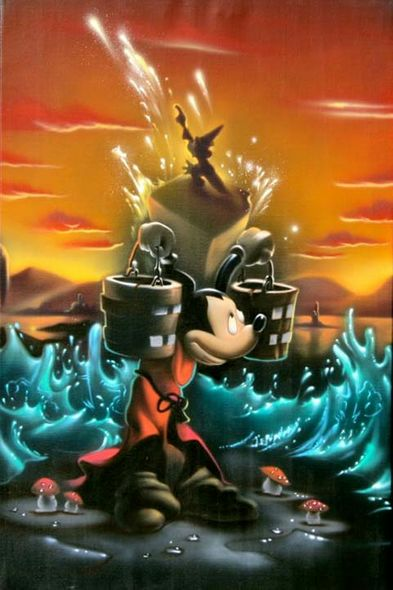 Noah Hand Hand Signed and Numbered Canvas Giclee:"Mickey Mouse - Fantasia - The Sorcerer's Dream Panel 2"
Size: 24" x 16" (As Shown) and 36" x 24" - Select Size Option from the drop down box above. Edition / Medium: Artist Hand Signed and Numbered Limited edition to 195 and 95 with COA. / Canvas Giclee.